from 1.299,00 EUR* Not ready for shipping. Reserve today and we will ship as soon as possible. 3.550,00 EUR* Not ready for shipping. Reserve today and we will ship as soon as possible. from 795,00 EUR* Not ready for shipping. Reserve today and we will ship as soon as possible. from 1.099,00 EUR* Not ready for shipping. Reserve today and we will ship as soon as possible. 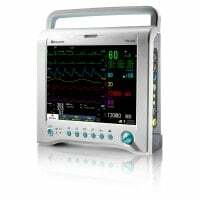 Patients' vital signs are monitored during and after operations, often even in outpatient areas. As dental practices often perform treatments under general anaesthesia, for example on anxious or disabled patients, patient monitors are also an important issue in the field of dentistry. 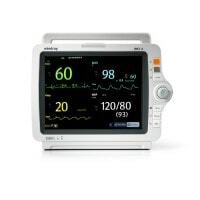 These patient monitors can measure and display up to 8 readings at a time. 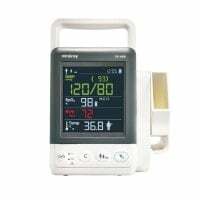 Depending on your needs, ECG, SpO2, blood pressure, oxygen saturation, respiratory rate, body temperature, heart rate and EtC02 can all be monitored. Newer devices can be connected to a network, and suitable printers are often available. 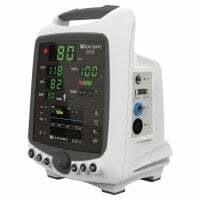 Most patient monitors are portable and so can easily be carried from one treatment room to another. 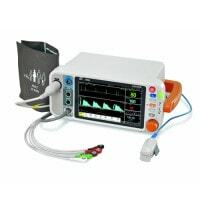 As soon as the measured vitals deviate from the norm, the patient monitor issues audible and visual alarms to attract the practitioner's attention. You will find the device to suit your needs in the patient monitors category at affordable prices on Praxisdienst-DENTAL.